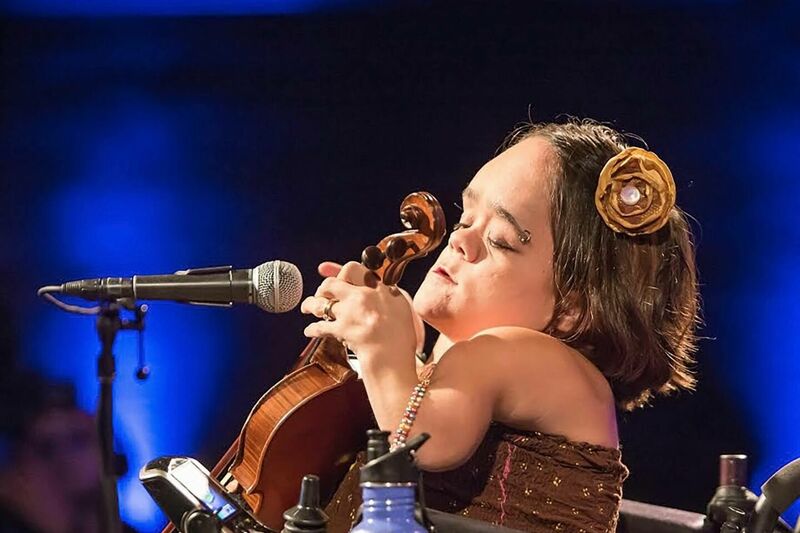 Since then, Gaelynn has played over 250 shows in 42 states and seven countries, adding nearly 100,000 miles to their Ford Econoline’s odometer. The singer-songwriter and violinist has performed everywhere from coffee shops, bars, schools and festivals; she’s graced the stage of renowned venues like Nashville’s Music City Roots, The Kennedy Center, House of Blues and even BBC World News. This June she was featured at arts festivals in Iceland and Switzerland, in July, she appeared at the Winnipeg Folk Fest, and is set to perform at Travelers' Rest Fest (curated by The Decemberists) in August.